Posted on August 21, 2013 by Josh Wise. Sometimes it can feel difficult to keep your relationship fresh. Day after day of living with the same person and having what seems like the same conversations can feel like a chore. How can you keep love alive? 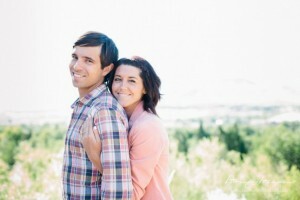 How can you keep your relationship from going stale? The answer lies in the mystery. Has your partner ever done something that made you scratch your head and wonder what he or she was thinking? Have you ever looked into your partners eyes and wondered what thoughts were circling within his or her mind? You know your partner–perhaps better than you know anybody else–and yet there are still aspects of your partner that are a complete mystery. No matter how openly you communicate and no matter how long you’ve been together, your partner will always be a mystery. And to be honest, there is much within you that is a mystery. There are unconscious aspects of your mind, there is what Carl Jung called, “the shadow,” or disowned parts of your experience. Somewhere beneath the day-to-day errands and busy-ness, you and your beloved are both carrying a great mystery within you. This mystery that provides the doorway to keeping relationship fresh. If you’re just going through the motions, treating your relationship like a routine, then it will feel like a routine. But you can break this pattern. You see, your beloved is someone that you can never fully understand. The two of you are living in an unprecedented moment–this moment has never before existed. Although you might be tempted to say that you are doing the same things over and over again, you’ve actually never lived this moment. Sit face to face with your partner. You can sit on chairs or cross-legged on the floor or a cushion. Keep your eyes open during this meditation. And simply look at your partner. Don’t make silly faces or say anything. Simply place all your awareness on the mystery of your beloved. It’s ok to blink. This isn’t a staring contest. This is an open-hearted opportunity to observe and be observed. This is an opportunity to see and be seen. Breathe in and out slowly and simply observe your beloved. Notice what arises within you. Notice when your mind wanders. Notice thoughts that arise that you move toward. Notice thoughts that you move away from. Remain with your awareness on your beloved. See your beloved for the first time. You are observing a mystery. Practice this for ten minutes. When you’re done, take a few moments to hold one another and to notice what you feel. You don’t need to move into conversation too quickly. Moving to words can take you and your partner out of the mystery of the heart and put you into the logic of the mind. Dwell in the mystery for a few more moments. This is the cultivation of a soulful relationship. This is the space where you can hold the paradox–that you can both know your beloved so well and not know your beloved at all. In this mystery lies love’s freshness. In the capacity to hold the paradox lies the capacity to love and to renew love. 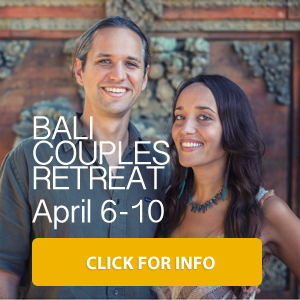 I’d love to hear how this couples meditation was for you. Please leave a comment below to let me know it went for you. 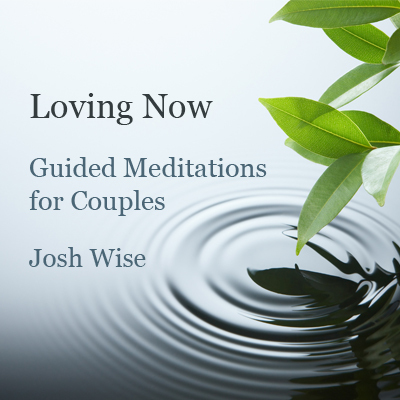 If you feel this meditation exercise can help you and your partner cultivate a soulful relationship, you can also download a collection of guided meditations and mindfulness exercises for couples. The collection of meditations is called Loving Now. Click here to learn more. This entry was posted in Couples Meditation, Mindfulness, Relationships. Bookmark the permalink.